Anyone who works with children, or has school-aged children, is on the edge of their seat at this time of year. Colds, the flu, unexplained tummy bugs – they’re all going around where people are gathered indoors and more in contact with each other’s germs. Sleep deprivation from being *so excited* about school the next day, or from being up a little worried about the presentation you’re doing tomorrow, or having to get up earlier to catch the school bus can lower our immune system too. Lastly, dry air from winter, or just from the heaters being on indoors, can cause the nose to dry out, which can bleed easily and/or let in more sneaky germs. 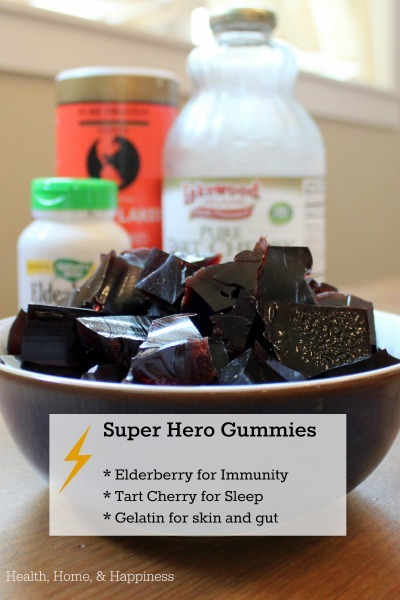 That’s where Superhero Gummies come in – they contain elderberry leaves and berries for immune support, along with tart cherry juice to increase the natural melatonin in the body, which helps with sleep, and lastly gelatin, which helps keep the mucous membranes of the nose in tact. These gummies are easy to make, and we like to include a few in lunch boxes. Open the capsules, and put the contents of the capsules in a sauce pan, discard the actual capsule. Combine all ingredients in a small sauce pan, mix well with a fork. Heat over medium heat until gelatin turns clear, stirring every few minutes, about 5-10 minutes. Grease a glass or other smooth-sided loaf pan or small dish lightly with coconut oil. Pour clear mixture into loaf pan, allow to cool down to room temp on the counter so you don’t warm up your fridge too much, then cover with plastic wrap and allow to chill in the fridge. 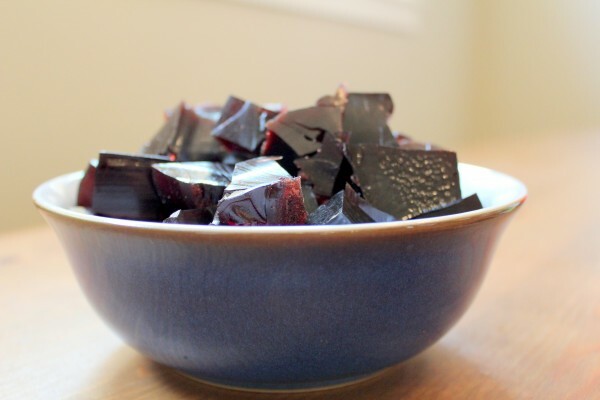 To cut into gummies, use a butter knife to loosen the large gummie block from the container onto a cutting board, and cut into cubes with a butcher knife. These last for about 10 days in the fridge, covered. Are these to be given daily? 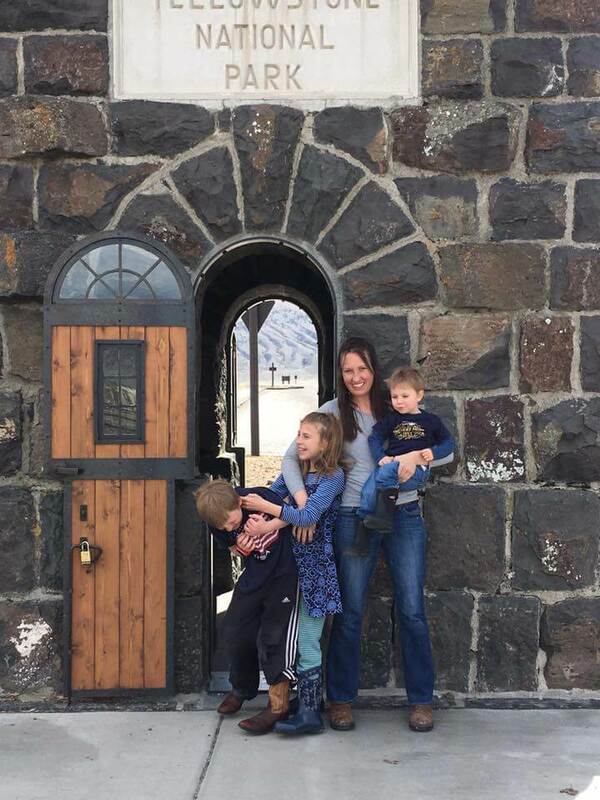 How many a day for a 2 year old and 6 year old? Thanks! I give them daily – I give a couple 1″ cubes to my kids each day. It serves 10, I’m aiming for about 2 oz of cherry juice and 1/2 of a capsule-worth of the elderberry. Can I grind elderberries, since I don’t have the capsules on hand? If so what would be a good estimate 1 tablespoon? Can I substitute elderberry syrup and how much? Yes! You could just replace a few tablespoons of the tart cherry with elderberry syrup. I use the same cherry concentrate as in the recipe but can find zero instructions on the package or the company’s website for reconstituting into juice. It tells me two tablespoons to be mixed with beverage of choice but does not tell me how much of the other liquid. Can you please tell me how you reconstitute yours? My batch didn’t turn out so well. I was wondering if I didn’t reconstitute the tart cherry juice properly because the elderberry taste was way too strong snd unpleasant? I used the same juice you recommend and it really doesn’t say how much to use for 2.5 cups. Also the texture of the gelatin was not very pleasant either. Everyone that took a bite spit them out! I must have done something wrong somewhere! Sorry it didn’t work :( I use the 2 tablespoons of cherry concentrate per 2 cups of water. I hope that helps, we really like them! Exactly how much cherry juice do you add in to this recipe. You above comment doesn’t make it clear. Thank you. What is in the lunch you picture on this post? 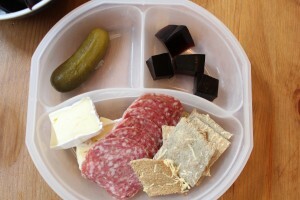 I would love to see more of the combos you put together to learn how to pull together quick-to-prepare paleo lunches that offer variety like the one in the photo. Do you ever do a week of lunches in advance? The inclusion of immunity boosting gummies in school lunches is a great one. Thank you! Hello! I have the tart cherry concentrate you have a link to above. I do not see on the bottle the instructions for diluting it as you stated. Do I put 2 tbsp in 2.5 cups of water to reconstitute? I made these with 2.5 cups of straight cherry and the are really tart! Haha! I did too! They are super tart!